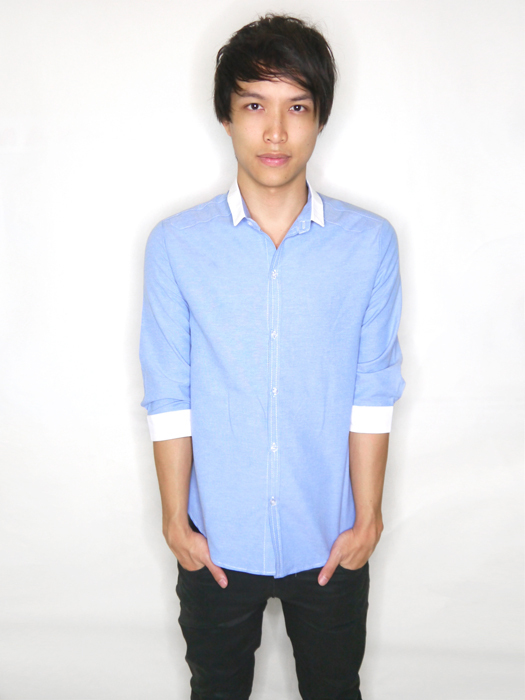 Haha scroll down for Alaric's debut as my apparel review model! 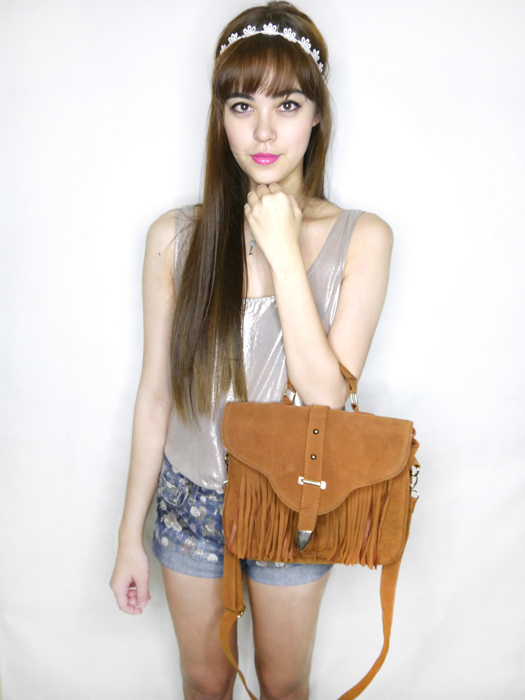 Fringe Satchel in Suede Camel Brown from Bricks & Bolsas! 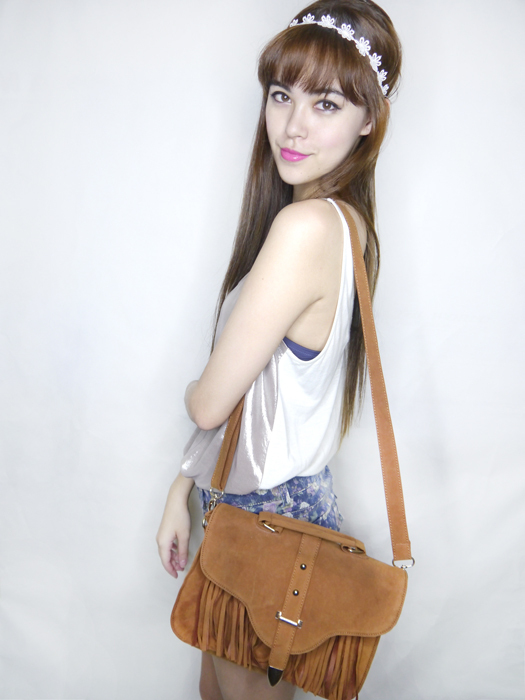 A lot of you always ask about where you can buy bags, so here's a blogshop specialising in one! Their designs range from totes to clutches & they currently also have an ongoing preorder! "Like" them on Facebook too! I love the cut & detail of this Kate Laser Cut Peplum Top from Thy Paper Crane! I've been wanting a peplum top/dress/skirt for a while & the fit on this top turned out great! And last but not least... a blogshop for guys! Alaric picked this top out from Suave Facade & I think it looks great! 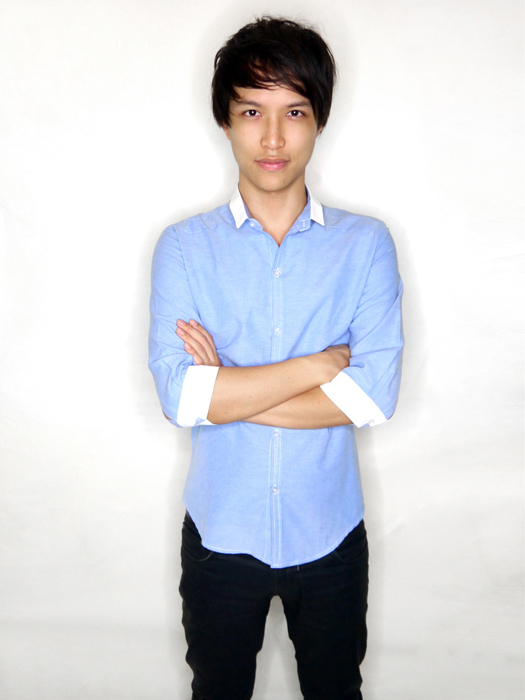 I know there's very limited online shopping choices for guys, so yay finally one for them! Their prices are super reasonable & the fit is good too. This shirt is already sold out in this shade, but it also comes in green! P.S. I'm the one that told him not to smile because I thought it looked better for the frontal shot haha. 5 comments on "Alaric's debut!" You both look like you're having so much fun in this post! So cute. ^_^ And I love your floral dress from the previous post. Definitely not too girly for you. You look so sweet in the lace dress! The lacey dress was so lovely on u!